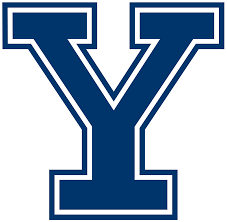 Since their founding in 1943, the Yale Alley Cats have come to be recognized as one of the finest collegiate a cappella ensembles in the world. They have performed for President Obama, her Majesty Queen Elizabeth II, and Queen Silvia of Sweden; they've appeared on Martha Stewart Living, opened for Jay Leno's comedy show and have been praised as "Mm-mm delicious" by Aretha Franklin herself. Today, the Yale Alley Cats enjoy singing contemporary numbers as well as those that have bee in the group for generations. Although much has changed since 1943, they still begin every concert with their traditional opening song, the same tune the Cats sang into the night over 70 years ago. The night will entail an hour and a half performance as well as an exclusive post-concert reception with the Cats, including snacks and drinks. Join us for an intimate evening of conversations, jokes and plenty of songs and receive the full Yale Alley Cat experience. The group is initially selling tickets ONLY to Ivy League alumni and their guests. If the Ivy community doesn't sell out the venue, the general public will be invited to buy tickets in a few weeks, so PLEASE ACT NOW! This unique, fun event is a great way to share a little bit of the Ivy experience with your family and friends.